 Home  Automotive  How do consumers see car safety features? Anyone traveling with different types of vehicles, including all four wheels, may be at risk. Accidents can happen anytime and anywhere without a signal. The first step to avoid the danger is of course known, that is to say obey the rules of the road and drive safely. 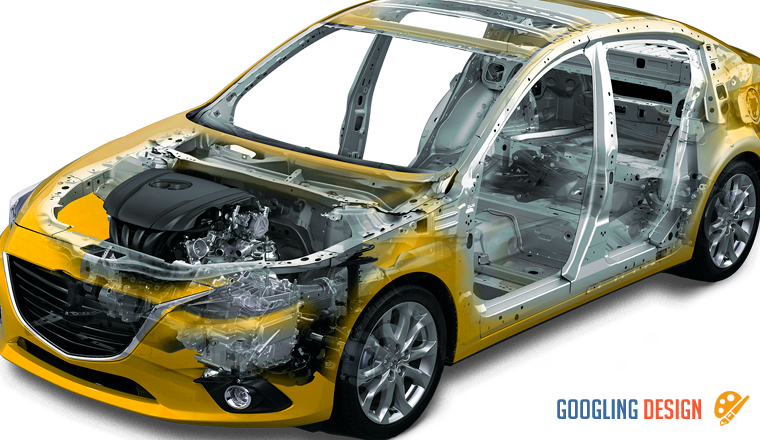 In addition, the factor of vehicle safety features is no less crucial to avert disasters. In the latest cars, various security warranty utilities are installed. There are preventive measures such as surveillance cameras, blind spot warnings, lane departure warnings, pedestrian detection and vehicle stability control. On the other hand, vehicle manufacturers also offer anticipatory safety systems to reduce the number of fatal accidents, such as seat belts, air cushions and deformation zones (parts designed to be easily crushed to reduce kinetic energy in the event of a collision). Safety or security technology is designed not to distinguish the castes of each type of car, but only to ensure the safety of all passengers. Unfortunately, in Indonesia, these features are still optional and available only in certain types of cars on the type of product. Existing legal umbrella, every car in Indonesia is only required to have a seatbelt. The obligation to install a safety belt is set out in the Transport Minister's Decree No. KM37 of 2002 concerning the technical requirements for seat belts, according to which, in Article 2 (1), "any vehicle with four-wheel motor or more shall be equipped with: support components in the form of seat belts ". The seat belt requirement only applies to the driver's seat and the front seat passenger, while for the passenger seat behind it is not mandatory. This is clearly stated in Article 106 of Law No. 22 of 2009 concerning traffic and road transport. The consequences of the presence of complete security functions have an impact on sales prices. For developing countries, such as Indonesia, the price issue is sensitive. Without including comprehensive safety features and tax incentives, manufacturers can manufacture cars at "sloping" prices, including the low-cost green car (LCGC) that can be sold at prices ranging from 100 million rupees . By looking at ASEAN NCAP data, an institution responsible for testing the quality of vehicle safety in Southeast Asia, there are still cars in Indonesia that are not feasible from a safety standpoint. One of them is a LCGC-type car, Datsun Go, which receives a red ballot in the ASEAN NCAP. The Datsun Go (2015) test only gets a value of 6.82 (highest point 16) in the shifted frontal test (frontal impact test). Meanwhile, side impact test The compact car has only two stars, from an average limit of three stars or more. However, for the Datsun, it was confirmed that this car "had already obtained or passed a test from the Indonesian government". Datsun Go is just one of many examples: the highly popular cars in Indonesia, such as the Toyota Avanza, are equipped only with safety features, including driver and passenger airbags, ABS sensors and parking. Technologies such as electronic stability control (ESC), blind spot control, pedestrian detection are still missing. Esa Unggul Jakarta University student research, Saidil Hudri, in 2016 on the influence of product quality and design on the interest of buying Suzuki APV shows that design is one of the motivating factors consumers' interest in choosing a car. The assessment of the quality and durability of the car is another factor taken into account by consumers. What about security aspects?